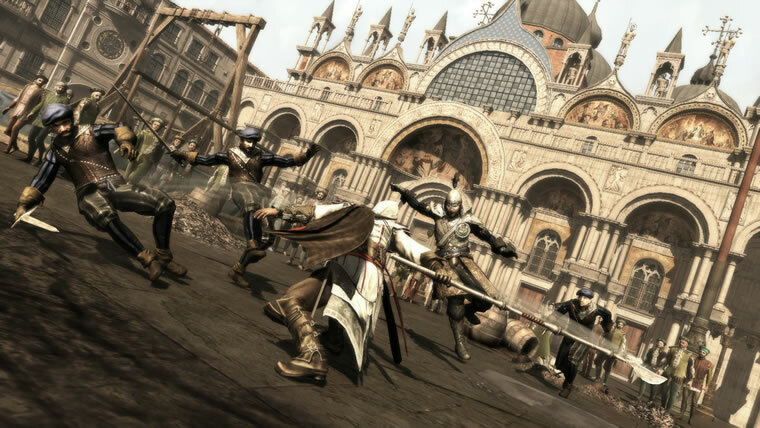 Assassin's Creed II is a much more enjoyable game than ACI and improves on many of the faults that were found in the original game. Those very repetitive tasks required for an assassination are gone, and the game instead has a focused mission-based structure this time around. It almost feels like GTA in a way because of the focus of the main character and the many great cutscenes found in the game that progress the storyline and sets up elements that will no doubt be another sequel to the franchise. 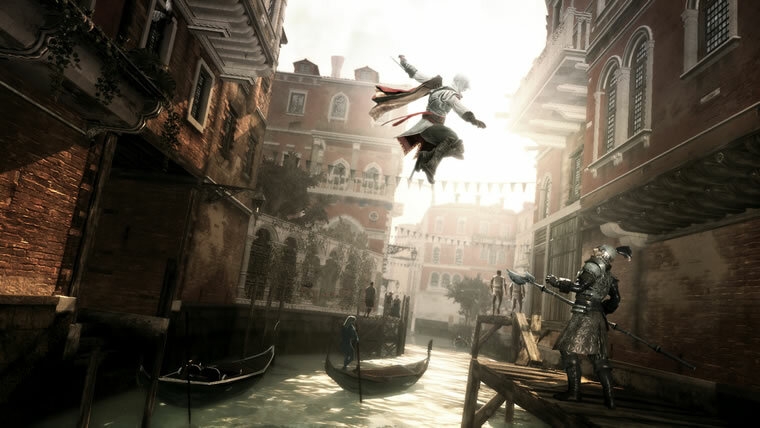 For right now though, Assassin's Creed II will keep you busy with a great 15-25 hour adventure. The great thing about this game is that it picks up right after the first one. You will still have control to Desmond Miles for a few sequences, but these are more welcome than just walking to your bed after some time as Altair in the animus. This is great because the original game ended with a cliffhanger and gives players a chance to get more answers that Assassin's Creed brought to the table. Most of your time though is spent as Ezio Auditire da Firenze, or just Ezio for short, the new Assassin Desmond must live as in the Animus. 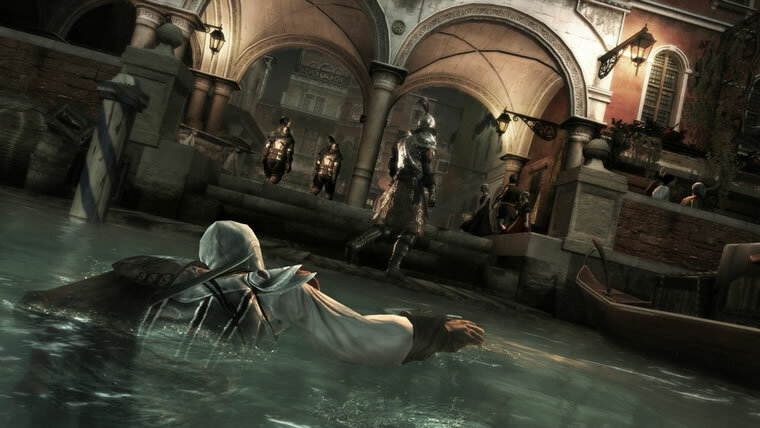 Ezio is a much more developed character than Altair and you get to connect to him in a better way and find out why and how is transition to an Assassin occurs. 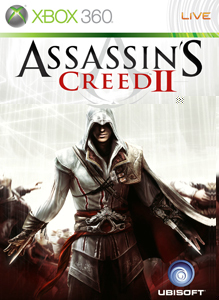 He's a great character that is accompanied by a great cast of fictional and non fictional characters from history and they will provide you with a great story that will leave questions just as Assassin's Creed did, but will also contain some important answers that will help better understand the conflict between the Templars and the Assassins. The gameplay this time around is big improvement, with many side activities to do, which are more fun with the better tuned free-running controls and combat in the game. 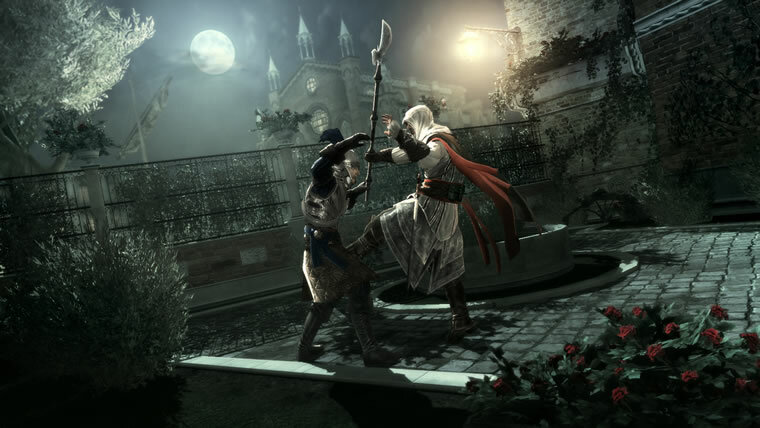 ACII features many more weapons to wield, including the ability to use the enemies' own weapons against them with the disarm move. Using the groups of people in the world is also a new addition in this game and a key element in certain parts of the story. You can hire thieves to distract the guards by stealing from them, hire mercenary gangs to attack for you, and even utilize the aid of the beautiful courtesans. The game's structure breaks down into completing story missions for the DNA sequences, completing optional side-missions, and exploring the land for many useful items in the game while keeping the great openness of the first game. Overall I felt that Assassin's Creed II was a much more fun and awarding than experience than ACI which is what a good sequel should be. The visuals are much more improved in this game as well, and with the shift to the Italian Renaissance, ACII brings new locations with many different types of people that populated that time in history in a great and accurate way. They will still react to your actions in the game, but with a greater variety of dialogue. 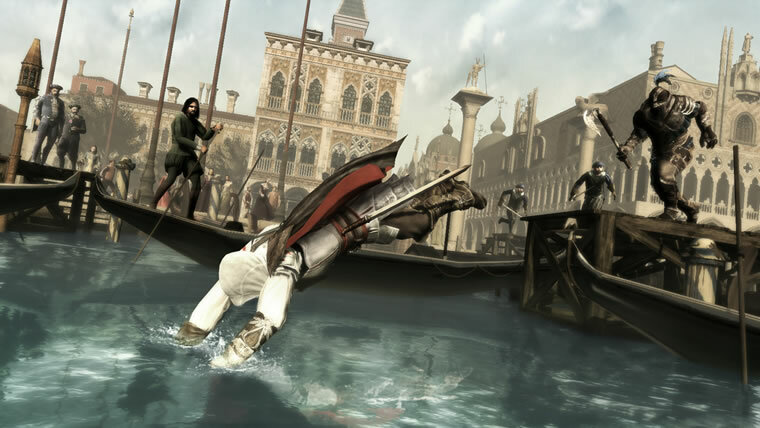 The great score in Assassin's Creed II is also a great element in this game that really immerses you in the many places you will come across. So if you saw the potential in Assassin's Creed and suffered throught the gameplay downfalls, Assassin's Creed II is your reward with its great story, visuals, and improvements that the Assassin's Creed Franchise needed.